SAN FRANCISCO—At its public meeting next week, the Judicial Council will consider recommendations from its Executive and Planning Committee on whether to terminate, maintain, or modify specific delegations of authority that the council has issued to the Administrative Director of the Courts or Administrative Office of the Courts (AOC) since 1998. The delegations represent the Judicial Council’s authorization for the Administrative Director or AOC to act on the council’s behalf. The committee recommends that 20 of the delegations should be modified to update, strengthen, or reinforce the council’s oversight and authority in areas such as finance and budgeting, courthouse construction and maintenance, and judicial branch education. Budget Allocations for Trial Court Facility Modifications and Planning: The Trial Court Facility Modification Advisory Committee recommends allocating the $50 million appropriated by the Legislature for trial court facility modifications in the fiscal year 2013–2014 budget. The funding would allow the branch to address emergency and critical projects that arise every day in court facilities, but will not be enough for any planned facility modifications such as necessary upgrades to aging courthouse HVAC systems, elevators, and roofs. California’s Language Access Plan: The Joint Working Group for California’s Language Access Plan, which comprises members of both the council’s Court Interpreters Advisory Panel and Access and Fairness Advisory Committee, was established in June 2013 to create a comprehensive statewide language access plan that will serve all of California’s limited-English-proficient court users. This informational report to the council provides an update on the working group’s goals, timeline, and anticipated steps in the development of the plan. AOC Restructuring: Center for Families, Children & the Courts: The council will receive an update on changes to the AOC Center for Families, Children & the Courts (CFCC), which includes a workforce reduction of 35 percent. CFCC has a new organizational structure, refocused on mandates and core services in the areas of: 1) Access to Justice and Self-Help, Family Law and Domestic Violence, and Tribal/State Programs; 2) Child and Family Focused Services; and 3) Juvenile Dependency and Delinquency Programs. 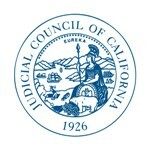 Judicial Council Directives on AOC Restructuring: The council will receive this informational report on the implementation of the restructuring directives for the Administrative Office of the Courts (AOC), as approved by the Judicial Council on August 31, 2012. The report provides an update on all of the directives and on the progress of implementation efforts. Court Closures: Per statute and its normal meeting procedures, the council will receive an updated report on which trial courts have closed courtrooms or clerks’ offices or reduced clerks’ office hours because of budget reductions. This is the 22nd report to date listing the latest court notices received by the council under this statutory requirement. Since the last council report, the Superior Courts of Inyo, Kings, Stanislaus, Tehama, and Tulare Counties have issued new notices of closures or reductions.